Lake Roaming Rock is the Largest Private Lake in Ohio with 22 miles of shoreline and a 7-mile ski loop. 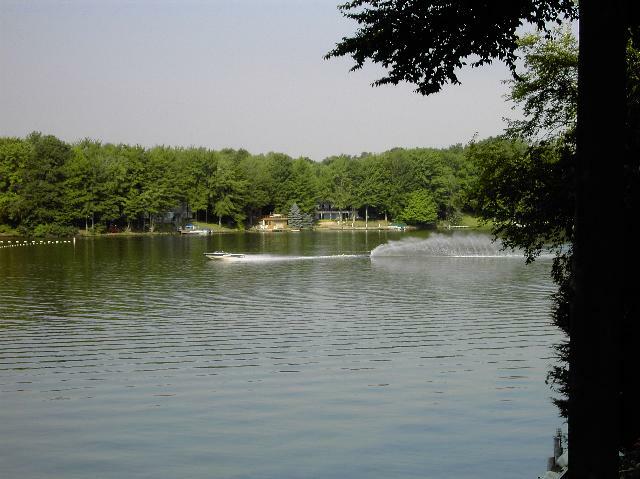 The lake has an excellent population of large and small-mouth bass along with great fishing for crappie, silver and channel cat, perch and bluegill. There is a 21-foot length limit on power boats with unlimited horsepower and a 28-foot length limit on pontoon boats. There is temporary docking at the Clubhouse, some recreational lots, and the beaches. The only access to the lake is through a three-lane paved boat launching ramp near the Marina. Members will need to purchase a key fob (one time fee) to open the gate at the ramp. There is a 5 bass (large and/or small mouth) daily limit. You may purchase RRA Boat Decals for your boat at the RRA Office located at 1875 US Route 6 (corner of Route 6 and Evening Star Dr). You must bring your Title AND Registration to purchase boat decals. (Only originals or certified copies accepted). Your Dues & Assessments must be paid in full first before purchasing 2019 Boat Decals. Registration expiring in 2019? You must renew first. We will not register boats that are set to expire this year. 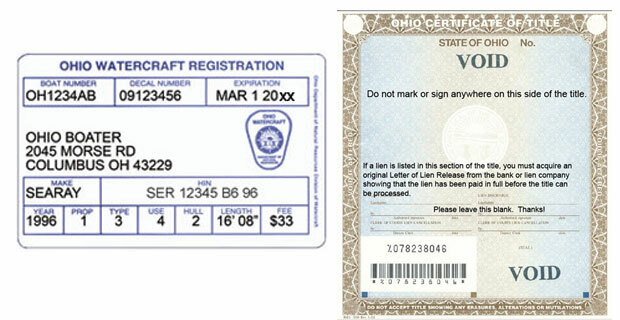 Click here for Boat Registration Agents in Ashtabula County. Click here for the latest version of the Boat, Skiing, and Swimming Rules. Request made in person by the Property Owner at the RomeRock Office. Present paperwork (Registration – Showing length and up to date OH Number) to be copied. Same watercraft cannot be tested twice. Watercraft may be tested for 2 hours on designated date, and will be removed from Lake Roaming Rock by 11:00am. A CITATION will be issued to Property Owner if the watercraft being tested is on Lake Roaming Rock after 11:00am. No RRA decals are to be issued for watercraft being tested.